Kreg Jig® HD Pocket Hole Screws are optimized for use with the Kreg Jig® HD Heavy Duty Pocket Hole System (#46791, sold separately) and for stock 1-1/2" and larger. 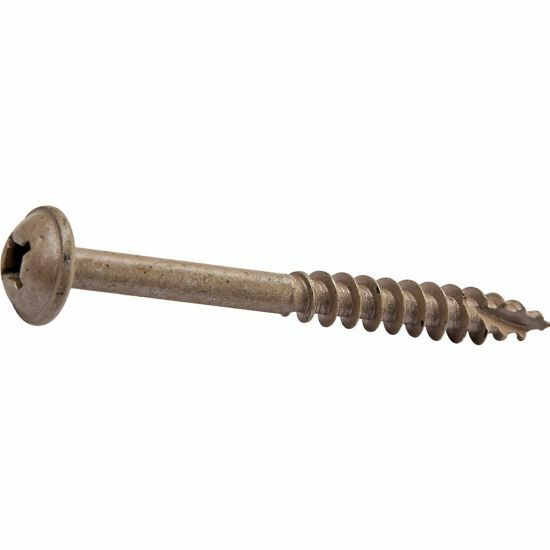 These large 2-1/2" long #14 hardened-steel screws boast incredible shear resistance and a Protec-Kote™ finish with 3 anti-corrosion layers for incredible long-term resistance to the effects of moisture. I use the Kreg HD pocket hole jig and these HD screws all the time. They are accurate and provide a solid joint. I would recommend this product to anyone. 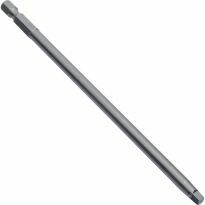 They work well on larger lumber, they are very secure. The screws draw pieces incredibly tight. Work like a charm! I needed to attach four horizontal 2" x 6" x 8' long boards to vertical studs to support heavy duty wire shelving to be attached to standards that would be supported by the 2" x 6" boards. The shelving was rated at 300# and I expected to have nearly that weight on each of the four shelves. Wasn't sure if standard Kreg 1 1/2" screws would support that much weight so tried to find an alternative method of supporting horizontal boards but wasn't satisfied with options. 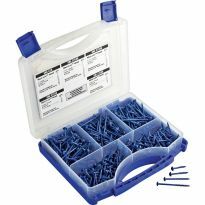 Saw in Rockler catalogue that Kreg HD screws were available and looked for them in other supply catalogues but no one else had them. Bought the HD screws from Rockler together with the HD screw jig and installed the 2" x 6" boards with no difficulty. They're still holding all the weight I expected them to hold after two years. These screws are iron clad! For Mother's Day I built an above ground garden/planter. After filling with just the right amount of bags of top soil I realized I put ten 40lb bags of soil, 400lbs before adding any water. The garden is solid as a rock. I've also built a work bench with 2x4s, 4x4s, and a huge fire door as a table top. The Kreg system is outstanding I will have to buy the complete Kreg set next. Used HD screws on 2 x 4 & 2 x 6 construction. They worked great, a lot stronger joint for thicker lumber. I would recommend this product. Very aggressive screws, especially for softwood. Purchased several hundred of these to attach my posts to my deck and the railing to my posts, all 2x & 4x material. Jig is perfectly set up for use with 3 1/2" material right out of the box and these screws force the joint together much tighter than you could with any other type of screw. Very aggressive, very tight, very solid joints. I just wish they made them in 3" and 4" lengths. I've used these screws for many different applications. 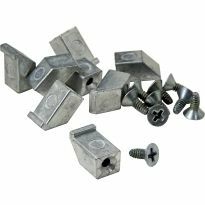 Doesn't matter if I am putting up a temporary wall (which by the way can be disassembled and moved to another location to be used again) or using them to attach the horizontal rails to the posts of of a deck I'm building, I can depend on the holding power of these screws. Look ma, no glue! The screws are great. I used them on two large picnic tables. I hope the coating prevents corrosion over the life of the tables. I would like to see them made with the star drive which is better than the square drive. these screws need to be stated to be used for softer woods since they are course thread. previous reviewer claimed they broke on oak which is a hard wood. These are great screws. I use them all the time. They perform wonderfully and grip great. Seats a tight joint plenty of strength. Still like using a bit of water proof glue. Reminds you to flush up the factory end of 2/xs. 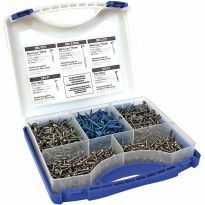 With these screws and the Kreg HD jig, making work tables and the like is now a cinch. Takes the Kreg concept and makes it where you can make some really strong stuff out of 2x4 and larger. I bought these for an oak table project. About every fourth screw snapped in half right where the threads start as soon as the head seated in the pocket hole. I was not using an impact driver or anything crazy, they are simply poor quality. working on a roof extension and thought it would make it nice and tight. For a house addition I'm working on. Excellent fastening method for projects using treated 2 x 4 lumber, garden furniture etc. 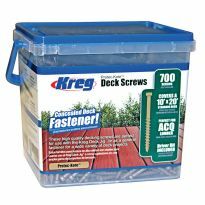 Kreg jigs and screws are great, excellent on all kinds of projects when you want it to be sturdy! I have some 2x4 framing projects coming up. Going to use these for the extra strength. To go with the tool I also bought. 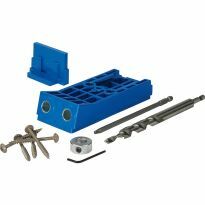 Best screws to connect 2X4s together, you do need a Kreg HD Screw Jig. For new cedar slat fence. Good holding power and weathers well. I will be using 2x4's on some projects and these screws seem to be right for the job. 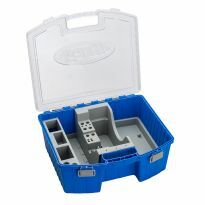 They are a bit on the expensive side, but quality is usually good with Kreg and I like the coating Kreg uses. At the time I purchased these, Rockler was the only supplier selling this product. Now they are offered by several companies; however, they are all listing them at the same price so the difference in sales taxes and shipping costs will determine from whom I'll order them. Great price, I use these with my HD Kreg Jig. Heavy duty framing with pocket holes for an outdoor shower. I like them on my projects. For my pocket hole machine. can you use HD pocket hole screws to attach two pieces of cedar ? or should one use stainless pocket hole screws ? BEST ANSWER: Hello. You can but the cedar will have to have a minimum thickness of 1-1/2" as the HD Screws are designed to go with the HD Jig, which is for material thicknesses 1-1/2" and greater. Thanks, Josh. 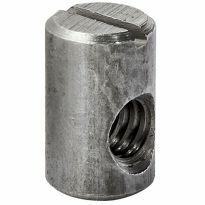 What plug size needed, 3/8"? I've been asked to answer this but what is meant by plug size? I can only guess that ones terminology is perhaps used differently than another s. Is it the hole made by the bit? Rockler has plugs to match the drill bit sizes . The description says #14, which is 1/4", but the threads look larger than the shank. Which is 1/4", the threads or the shank? BEST ANSWER: That gauge just reflects the shank itself, not the threads. However, it's not 1/4," it's more like 3/16."